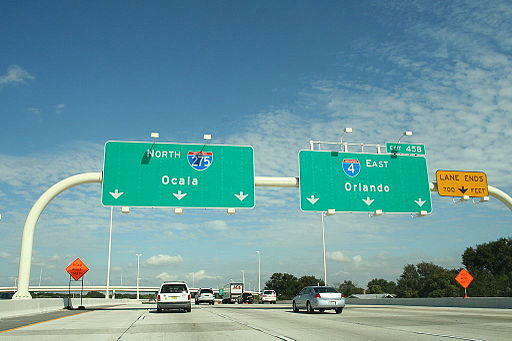 Transportion are considering adding express toll lanes to Tampa Bay area interstates. 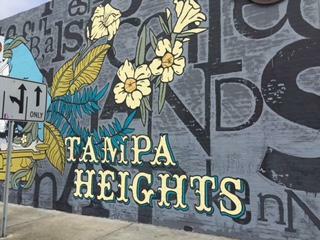 The group Stop TBX says Tampa Heights is one of the neighborhoods that could be negatively impacted by express toll lanes. Hear a preview of the conversation. What are the pros and cons of the Tampa Bay Express project, which includes adding express toll lanes on interstates around the Tampa Bay area? This week on Florida Matters (Tuesday, Feb. 9 at 6:30 p.m. and Sunday, Feb. 14 at 7:30 a.m.), we bring you both sides of the debate with Tampa Bay Area Regional Transportation Authority (TBARTA) Executive Director Ray Chiaramonte, and Linda Saul-Sena with the group Stop TBX. Miss the broadcast? Listen to the show here. Supporters of the plan say the express toll lanes will speed up commute times. "We just need to have a basic interstate system of this time-period that works, and then that's it. And then we need to go on to transit in the future," Chiaramonte said. "But that interstate system has been neglected for a long time. We just need to catch up, get it done, and then move on." Critics say express toll lanes won't speed up commutes, and they worry about the destruction of historic neighborhoods in Tampa. "In terms of getting people to where they want to go in a safer and more expeditious and environmentally friendly way, I think that we need an alternative to just more lanes," said Saul-Sena, who has served as chair of the Hillsborough County Metropolitan Planning Organization, and on the Tampa City Council. Over the next few weeks, the Florida Department of Transportation is holding community meetings on the project. The Tampa Bay Express plan would add express toll lanes on area interstates. What do you think of the plan? James K. Morgan of Tampa writes, “Express toll lanes along I-275. I frankly cannot think of one point to recommend the building of these express lanes. But my chief complaint is construction related delays, which we have endured for five years. Now that we are just finishing Northbound I-275 between Dale Mabry and Armenia, we will get to face another round of years of construction? Almost daily I have to travel around the south side of the airport. Since the last tiny piece of the new roadway is still not ready, the delays all day long have been amazing. The entire Westshore area has been impacted as people search for alternative routes, and some of those alternatives, like Cypress Street, have been closed while the final touches are put on the construction. Gerald Chassang of Tampa writes, “I do not understand why Hillsborough Avenue isn't considered to be utilized as a way to relieve I-275/I-4 junction and downtown. On an upcoming Florida Matters, we're looking at the Tampa Bay Express transportation plan, which includes adding toll lanes to area interstates. What do you think of the idea? Share your questions and comments with us, and we may use them on the air. 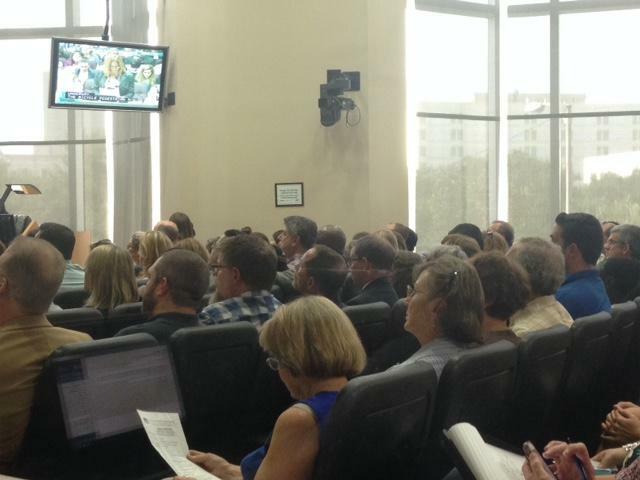 Although several Tampa residents spoke Thursday at a Tampa City Council meeting against the state's plan to add toll lanes to three major Interstates, their protests might not have any effect, because the decision ultimately rests with the state Department of Transportation. 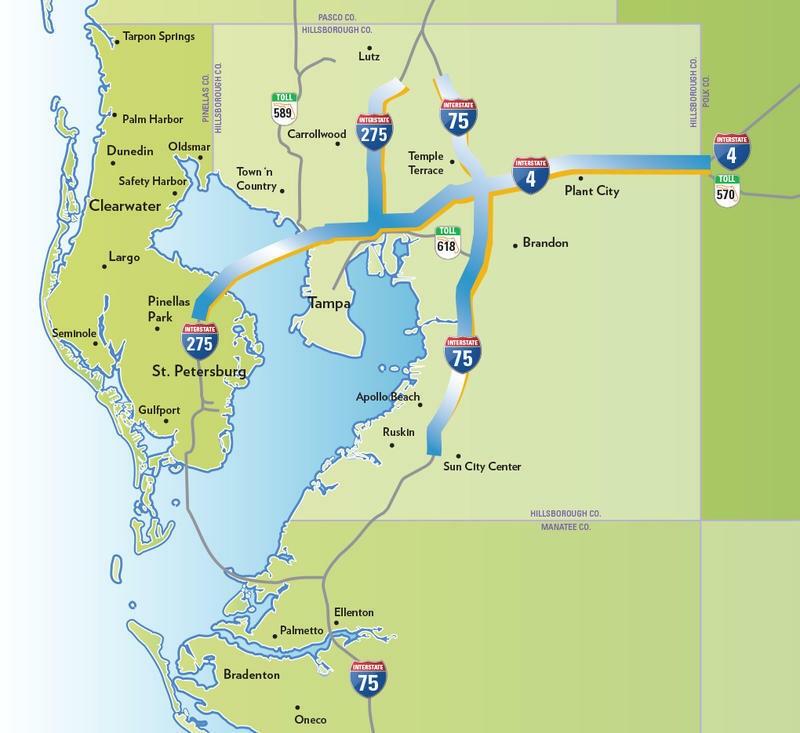 The project, called the Tampa Bay Express, involves adding tolled express lanes on 87 miles of I-4, I-275 and I-75. The tolls would cost drivers up to $2 per mile. 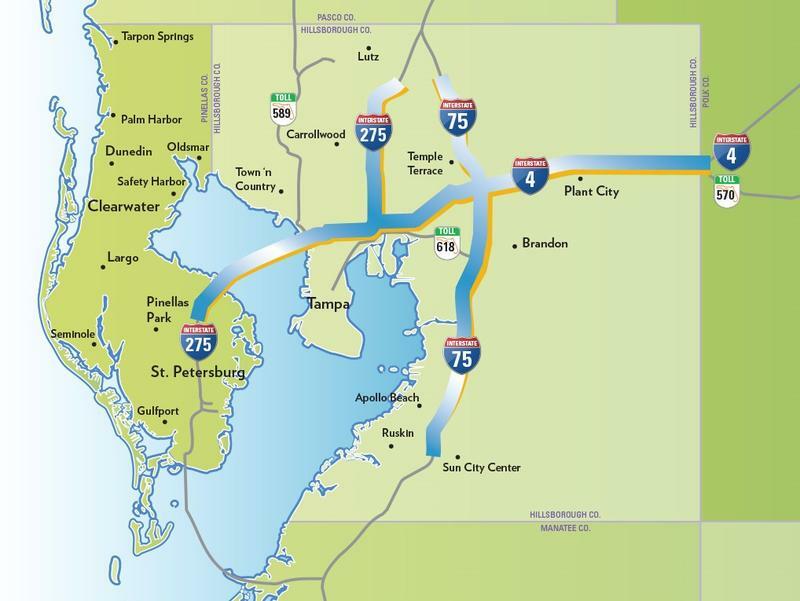 A plan to expand I-275 and I-4, and build express toll lanes was voted into Hillsborough County's Metropolitan Planning Organization five-year redevelopment plan called TIP. The plan, called Tampa Bay Express (TBX), was passed but Les Miller, Chairman of MPO, told the Florida Department of Transportation it had to update the 20-year-old study it is using to justify the plan.